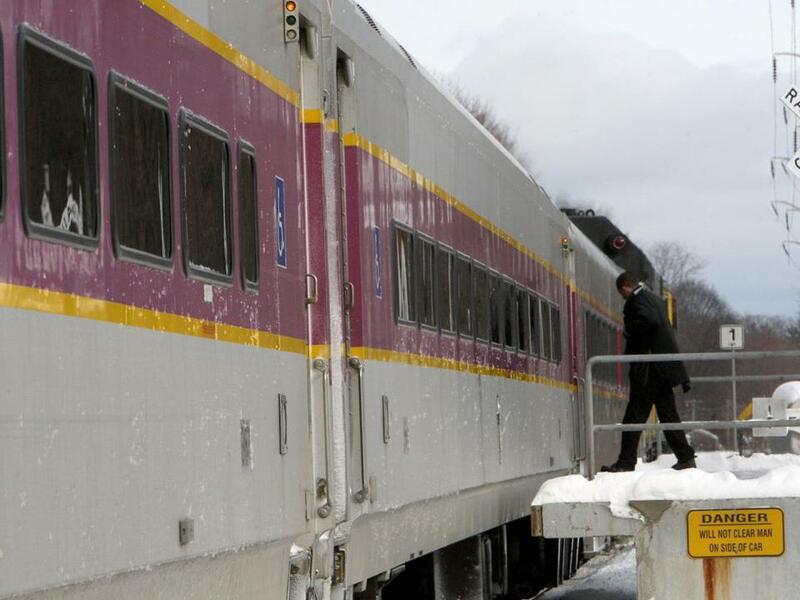 The state awarded the $2.6 billion contract for running the commuter rail system to Keolis. Leslie Aun, spokeswoman for Keolis North America, met for coffee recently with Boston’s Rev. Eugene F. Rivers 3d. He was one of the community activists who had earlier met with Keolis to discuss how the company could promote diversity in running the city’s commuter rail system. By the time the meeting was over, she said, she thought she had walked into a bad spy movie. In previous discussion, “commitment” referred to Keolis’s assurances on diversity. But it took a whole new meaning when, at the end of the odd conversation, the veteran activist then handed Aun a sealed envelope. After Rivers left, she opened it and found an “invoice” for $105,000 for what it said were services rendered to Keolis by something called DRM Advisory Group. The invoice, obtained by the Globe, lists such services as attending a meeting with Keolis ($10,000); development of a strategic services plan ($15,000); and developing a nine-point plan ($25,000) for Keolis North America to achieve diversity in hiring and ridership. It bore the signature of the Rev. Bruce Wall. Aun immediately called Keolis lobbyist Michael McCormack, a former Boston city councilor who has been helping to introduce the French-owned company to Boston. “I told Michael, ‘I feel like I just got shaken down. Is this illegal?’ ” McCormack advised her to disregard the invoice. In a telephone interview with the Globe, Rivers confirmed that he had delivered the invoice. He did not discuss the specifics of the meeting, but said he was frustrated that Keolis was not acting on DRM’s proposals for diversity. Rivers did not respond to my phone calls Tuesday to answer additional questions about his conversation with Aun. DRM (for Dorchester, Roxbury, Mattapan) Advisory Group arose late last year, after Wall and other activists became concerned that the black community wasn’t getting anything out of the proposed rail contract. At first, before the state had awarded the $2.6 billion contract for running the commuter rail system, some black leaders raised questions about Keolis’s diversity policies — a move seen by some as helping rival company Massachusetts Bay Commuter Rail. But when Keolis won the bid, the ministers struck up conversations with Keolis, the winner. Keolis and the ministers held two meetings this winter. Subsequent meetings were discussed, but have yet to take place. The activists say they have gotten frustrated. In an interview Tuesday, Wall described the invoice as a strategic gambit. The notion that Keolis should make a robust commitment to diversity at all levels should go without saying. As a company with no local ties whatsoever, it will need all the help it can get to accomplish that goal. Its contract calls for at least 15 percent of its vendor contracts to be awarded to businesses owned by minorities and women. Keolis says it believes it can exceed that fairly low bar, a pledge it should be held to. Offering to serve as a broker to help provide diversity is a completely valid activity. Demanding $105,000 for agreeing to stop causing a company trouble is completely invalid. The sides are scheduled to meet next week. But Wall said he would not attend if the meeting does not appear substantive. He added that he is considering stepping down as the de facto head of DRM, because he has not been able to deliver a deal with Keolis on behalf of the community.